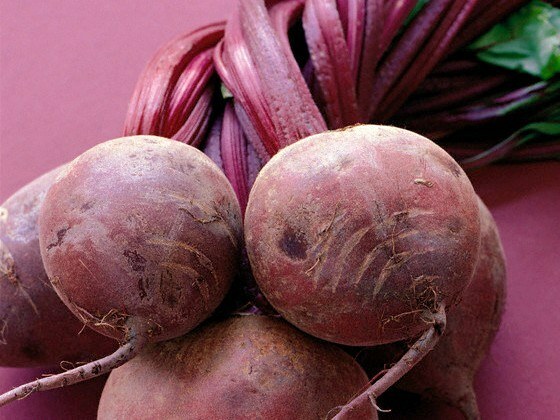 To quickly boil the beets, you can use a microwave. This root crop is boiled in the microwave in two ways: with the addition of water or without it. - vinegar, salt, pepper - to taste. Rinse beets and Pat dry it. Take special utensils for microwave ovens, place in the center of the vessel the beets and add half a Cup of water. Close the lid, but loosely. With a tightly closed lid containers may rupture from the pressure. You can use a cover-cap for microwave which has a valve to release the steam. Put the dishes in the microwave, select full power and set the time to 7 minutes. After this time flip the beets to the other side and cook it for another 7 minutes. Then leave it with the lid closed for 5-6 minutes. Check beets with a knife or toothpick. If necessary, cook it for a few minutes. To cook beets in the microwave without water, use an ordinary plastic bag. Put it in a bag of washed beet and tie it up. Make holes for steam outlet with a fork. Place the bag of beets in the microwave and cook on full power for 10-12 minutes. Try to cook in a microwave oven original dish of boiled beets – roasted beets with onions. Wash beets, boil it in the package as described above. Cool ready to root, peel and finely chop. Place the sliced beets in a bowl for microwave, add the chopped onions and a little vegetable oil. Put the beets in the microwave for 2-3 minutes. Mix in a bowl sour cream and a little flour. Add to the mix salt, ground black pepper and a little vinegar. Pour this mixture into the beet and place it in the microwave for 6-7 minutes, reducing the power in half. Beets can uvarivaetsja in a microwave oven longer than the specified time. It depends on the power of the microwave, the size of the root and even on the season, as different vegetables contain different amounts of moisture.